When it comes to car key replacement San Diego motorists are fortunate. We are 858 Locksmith and for years we have been providing motorists in San Diego, CA and surrounding communities with full service, fast and friendly locksmith service. We offer the best car key replacement service in the industry. We provide the high-quality car key replacement San Diego motorists can depend on. 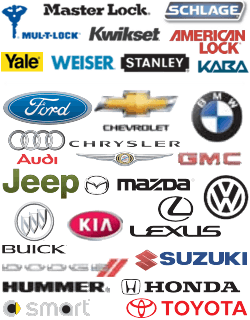 We’re mobile locksmiths and can make transponder keys, chipped keys, laser cut keys, and any other type of key you need for all makes and models of foreign or domestic cars. Whether you need to replace lost car keys or broken car keys, or help with car key extraction or ignition repair or replacement, we’re the company to call. The car key replacement San Diego motorists need can sometimes be complex. We have experienced well-trained locksmiths and all the latest high-tech tools to get the job done right. We even do transponder key programming and all types of key cutting. Simply give us a call any time of the day or night and we’ll quickly handle your car key replacement needs. We offer up front pricing, a 30 min response time, car lockout service, and excellent customer service. Plus all of our work is guaranteed. We offer the high-quality car key replacement San Diego motorists need at a price they can afford. We have the best lock technicians in the industry. Each of them has over 5 years experience handling lock and ignition replacement and repair. They are all licensed, bonded, and insured and certified to be able to handle key and ignition problems on any type of foreign and domestic cars. They are mobile locksmiths and they know San Diego well. This enables them to guarantee a 30 min response time. They are always on time, courteous, and professional and offer fast and friendly service. Each of our expert technicians drives a vehicle fully stocked with all of the high tech tools and equipment necessary to handle any type of car key or ignition problem you may have. Modern cars come with a variety of different types of keys. We have the tools, equipment, training, and expertise to deal with all of them. Whether your vehicle has standard keys, transponder keys, laser cut keys, chipped keys, smart keys, or switchblade keys, our experienced, highly skilled technicians can repair, replace, or reprogram them with ease. Many of those new keys require specially designed equipment to work on them. We have the equipment and our staff is trained in its proper use. Whether your car is new or old, foreign or domestic, we have the tools, staff, and expertise to deal with them. When they need car key replacement San Diego motorists know they can call us at any time of the day or night. 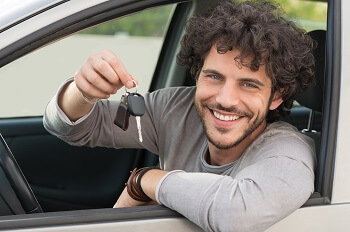 At 858 Locksmith we understand that problems with car keys can happen at any time. That’s why we have experienced,licensed, bonded, and insured technicians available 24 hours a day, 7 days a week. No matter when you need emergency car key service, you can give us a call and we will be there in a flash. We can replace your lost car keys or your broken car keys, perform a car key extraction, do car key duplication, or make spare keys for you whenever you call, wherever you are. Any kind of car key replacement San Diego motorists need, we at 858 Locksmith can handle it quickly, professionally, and at a fair price. We make spare keys for cars of all makes and models. We specialize in transponder key programming, ignition repair and replacement, and car lockout service. Our expert technicians can unlock trunk and car door, copy any key, and provide up front pricing along with fast and friendly 24/7 locksmith service. If you live in San Diego, CA and surrounding areas, call us today. Car Key Replacement https://858locksmith.com/car-key-replacement/ 3.9/5 based upon 25 reviews.